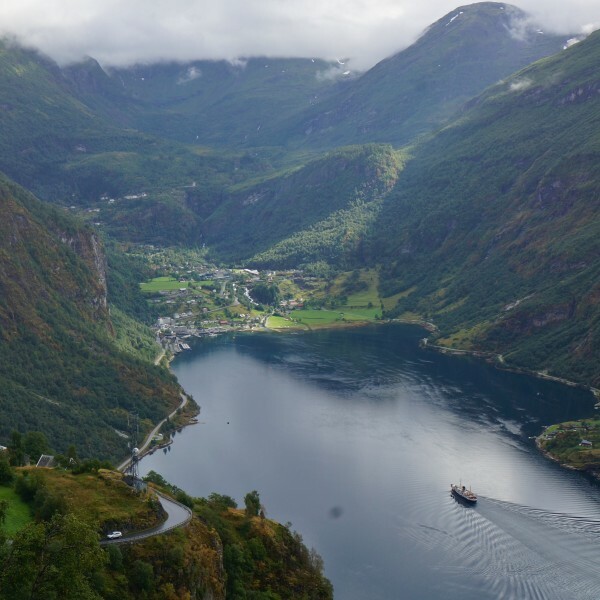 I’m just back from a whirlwind tour of Western Norway, from Oslo up to Geiranger, and couldn’t wait to share my favorite moments from this country. While I knew that Western Norway is famous for its jaw-dropping fjords, I was taken aback by the sheer diversity of this region. Sure Norway has the best nature on the planet– but it’s also a great place for shoppers (especially antique lovers), culture hounds, architecture aficionados and foodies. And while other Nordic countries might get a bad rap for their more reserved locals, Norwegians are warm and friendly, always ready to welcome visitors and share their traditions. 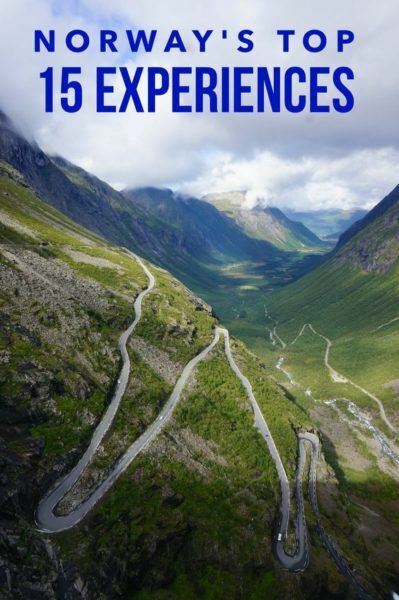 I’ll be showing you some of these areas more in-depth in upcoming posts, but to start off my Norway series with a bang, I wanted to offer fifteen a few of my favorite experiences, along with what souvenirs to bring home to remember them by. Note: the top Norway experiences I am writing about are limited to Oslo and the Western Fjord region– there is so much more to see in this gorgeous country! 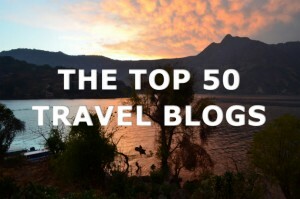 I hope to cover Northern Norway experiences (especially the Northern Lights!) in a future visit. 1. Experience: Gasp as you take in the Fjords from above. 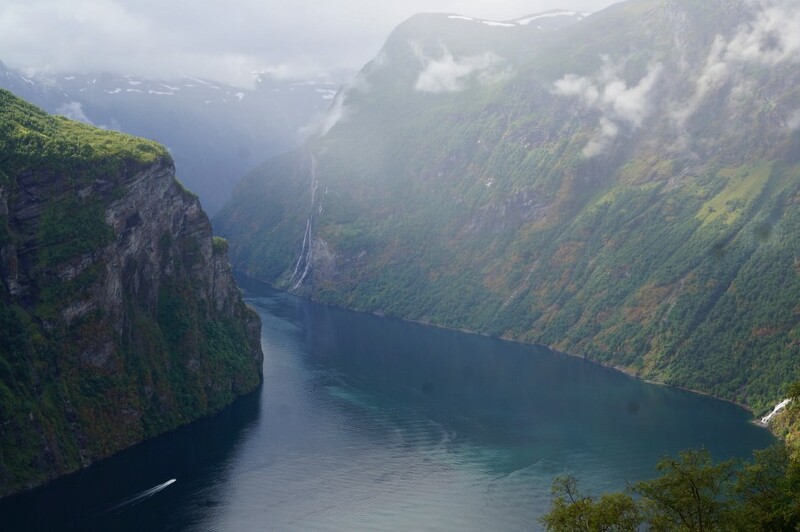 Before visiting Norway, I’d had this idea that the fjords were best appreciated by those intrepid adventurers who hiked for hours to reach spectacular views on daring ledges. But I didn’t pack any hiking shoes (my longest hike was an amble of ten yards or so from the car to the lookout point). I skipped the handstand selfies and happily stood behind guard rails and glass viewing walls. And not once did I feel like I was missing out– in fact, I audibly gasped when I took my first look out over the fjords. I would love to use a clever analogy here, to give you some point of reference of what it felt like to stand at the edge of these vistas, but I can’t. I have nothing to compare them to. No hiking shoes required to get to the fjord lookout points. We stayed in the adorable village of Geiranger. Even the mist and rain can’t temper the beauty of this much photographed scene at Geirangerfjord. It’s hard to photograph the fjords in a way that captures their mystical beauty and otherworldliness. I did see some local paintings though that managed to some close. 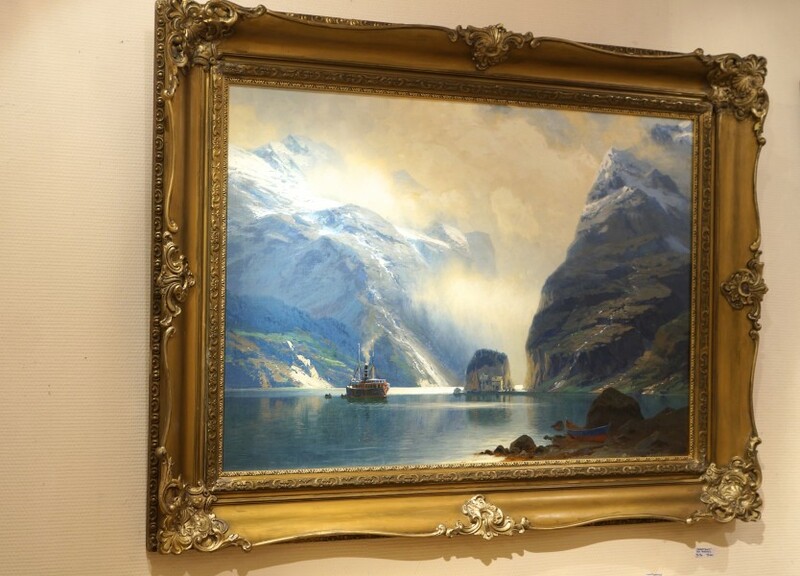 A painting of the fjords says so much more than a photo ever can. From Galleri Artifex in Alesund. I knew nothing about Norwegian sweets before this visit and planned to save my appetite for the fresh local seafood. But curiosity got the better of us, and a few innocent inquiries about some of the offerings in Alesund (“oh what are those pancake things?”) and our lovely guide Bente was suddenly stuffing us with Norwegian treats at every turn. Not that I’m complaining– after protesting that we preferred to share we had no problem cleaning our plates of pancakes, waffles, and later local bakery specialties like grovkake. 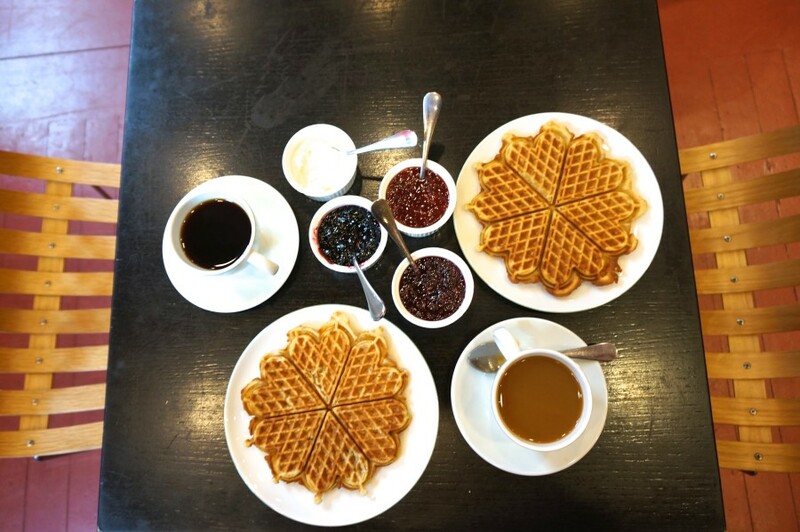 Norwegian waffles are like a cross between a pancake and a waffle– except lighter and more delicious. They are also a great foil for the incredible local jams. 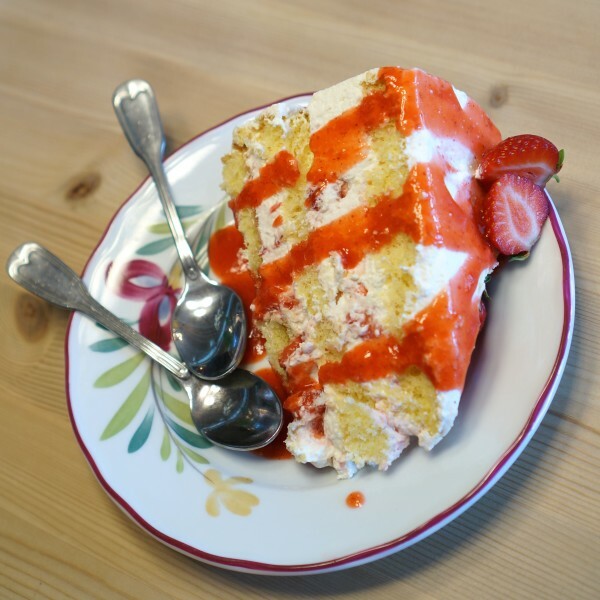 We found this cake at a cafe surrounded by strawberry fields– how could we not stop? The famous Alesund treat, grovkake. Yum Norwegian pancakes were an unexpected surprise. If you’re in Alesund, consider bringing the local specialty grovkake back, these treats keep for at least a week (the local bakery ships worldwide to homesick former residents). The supermarket also sells Norwegian sweets like skillingbolle, though while not as fresh as from a bakery, might have a longer shelf life. Norwegian pancakes are best made fresh at home. I want to make these for a future post (can some kind Norwegian local please share your favorite recipe please?). I also stocked up on some local jam to top my pancakes with– but need to ration the rest as I’m already halfway through the jar (err I’ve only been back a week!). I love stepping away from the tourist zone and finding real neighborhoods where everyday people live– even better if it’s an up-and-coming neighborhood, filled with eclectic shops, cute outdoor cafes and a youthful vibe. Oslo’s Grünerløkka is exactly that (see my full post on it here). I like shopping vintage in the United States, but it’s often hard to rifle through the junk and uncover genuine finds. But in a Norwegian vintage store in Oslo’s Grünerløkka district everything feels like a major find. Vintage Norwegian jewelery, handbags, barware and old leather suitcases all tempted me. I’d buy these vintage records for the album covers alone. Don’t be scared off by the You Tube clips. My travel mate (and driver) Linda carefully studied the videos of the drive down Trollstigen Road (aka, the “troll’s road”), before our arrival. 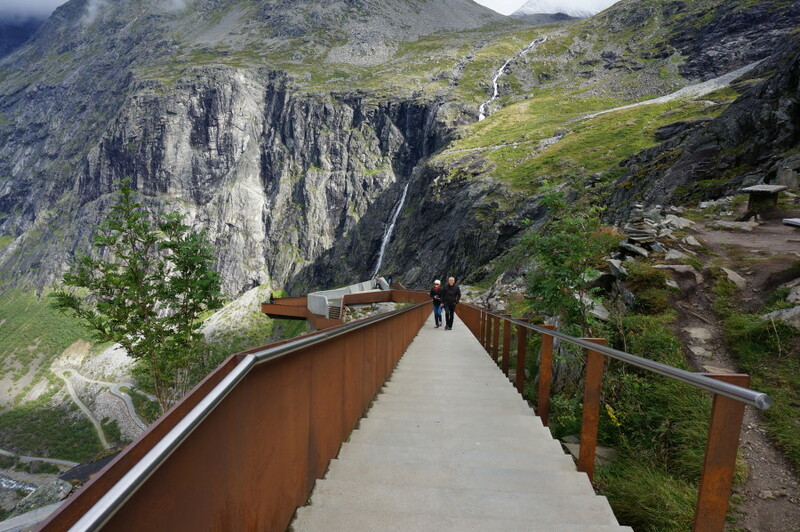 The Trollstigen is a single lane road that zigzags down a steep mountainside, past waterfalls and massive boulders, and is considered an incredible feat of engineering. 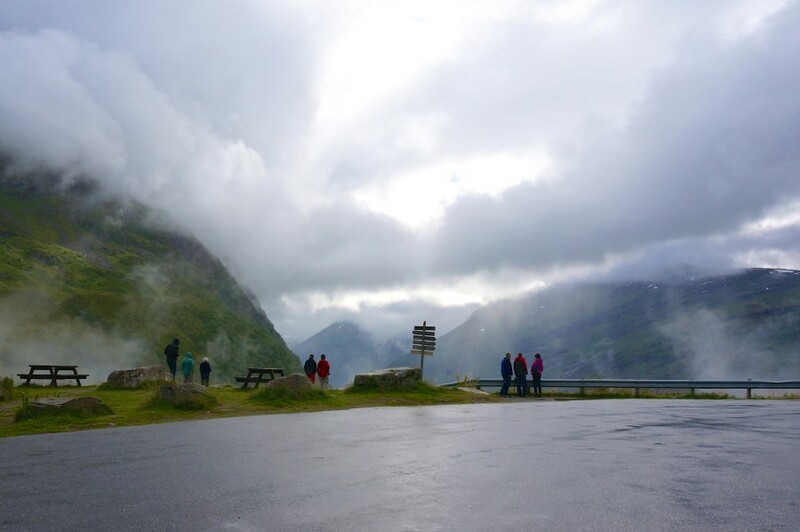 Before driving the Trollstigen, stop at the lookout point to get a bird’s eye view of the route. 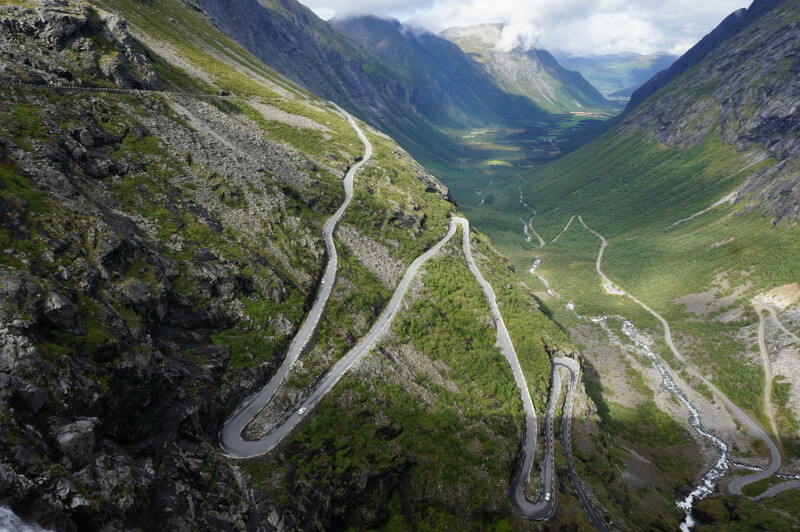 The Trollstigen road itself is in tip-top shape and the turns give wide berth. I’ve encountered far scarier roads in Italian hilltowns. To remember your drive down the Troll’s Road, what could be better than picking up your very own troll. In Norway, trolls are the stuff of fairy tales, cult horror flicks, and local legends. While it’s definitely a “touristy” souvenir to buy, to me the troll is a fun representation of Norwegian folklore. I bought my troll on my first day in Oslo and photographed him throughout Norway (see the full Troll photo essay here!). 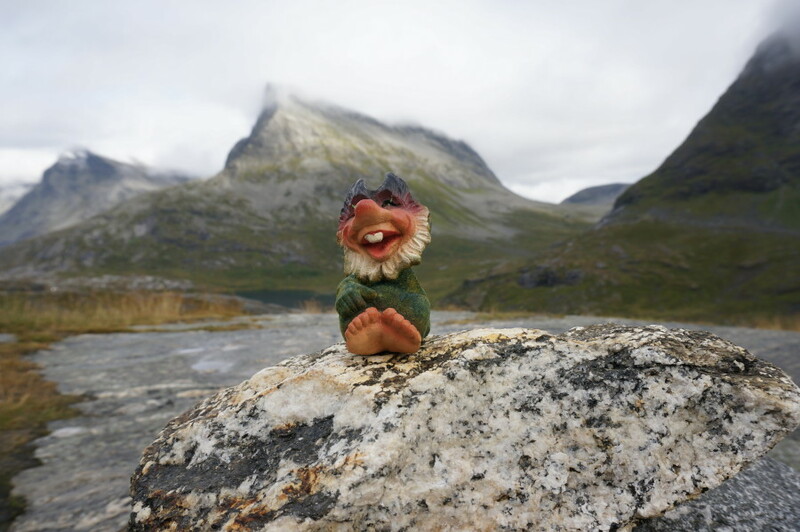 But I have to admit my troll seemed to be at his happiest when he was back in his homeland of Trollstigen. Unlike typical Norwegian trolls, my troll has no fear of sunlight. 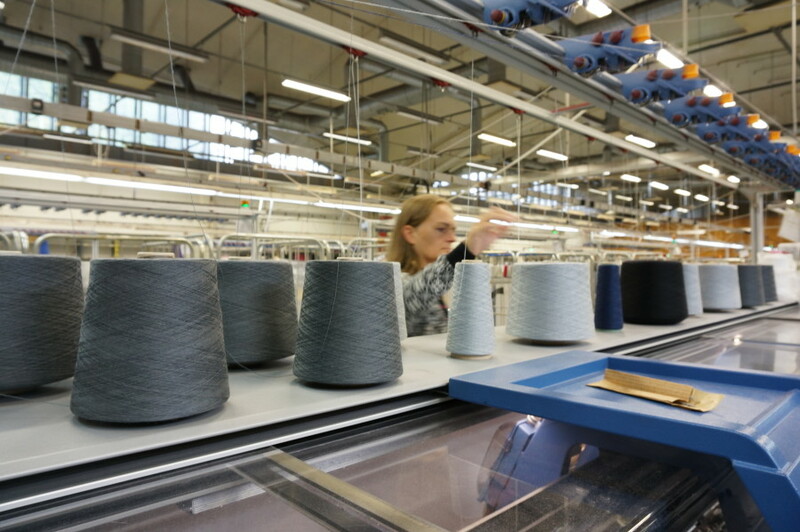 It is pretty extraordinary to come across a nearly century-old European factory that is not only fully operational, but thriving. 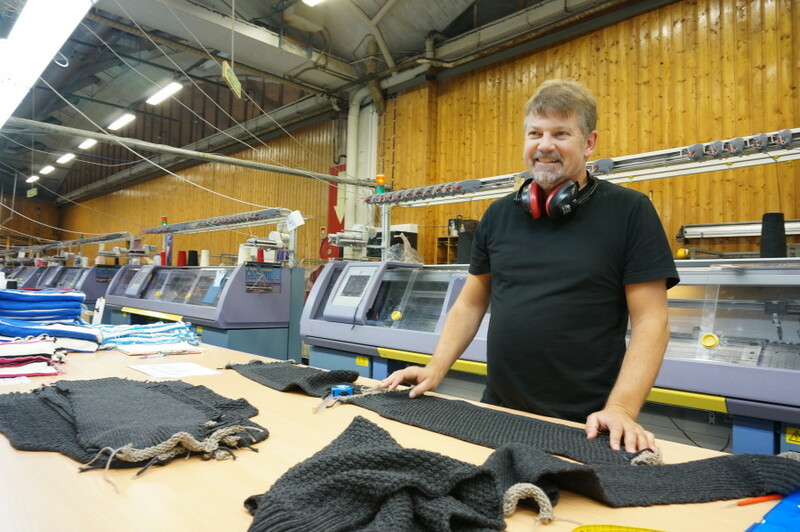 Dale of Norway has not only eschewed Chinese factories, but has insisted on keeping the entire production process, from design to final product, within their headquarters in Dale, Norway. We had a great time visiting their museum and working factory. Look for more in depth coverage of our visit in a coming post. I’m wearing my favorite Dale of Norway sweater and bought this adorable hat for half-price at the factory store. I have to admit, that while I absolutely loved the Dale museum and factory tour, what drew me to Dale was the promise of half-price shopping at its outlet store on-site. You’ll find sweaters, coats and hats of all sizes and designs here (along with a retail store that carries the entire Dale line). To buy a sweater before your trip, check out the great selection here. Although I love Edward Munch, I was prepared to give the Scream a miss. We were on a tight schedule and I figured the crowds would be annoying. But we did have the Oslo pass which offered free entry to the National Gallery, and the Gallery was right in the center of town so we decided to pop in. My verdict? Even if you’re not a “museum person,” it’s absolutely worth it to see this masterpiece. 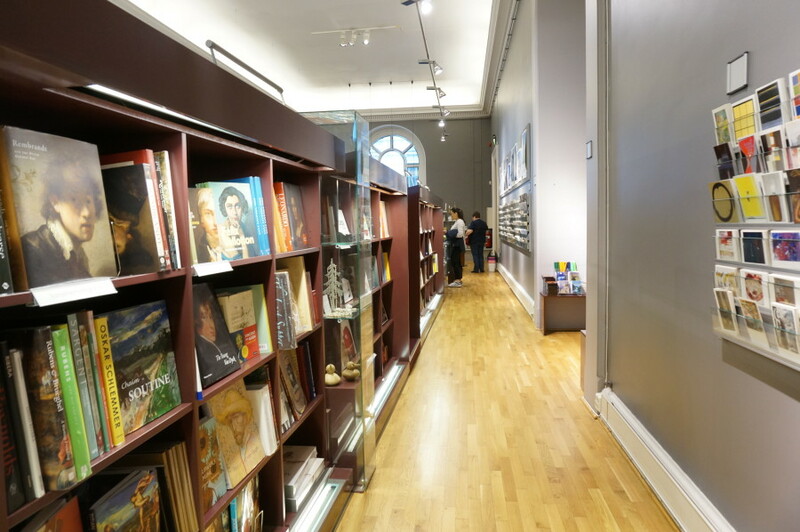 The rest of the Gallery is filled with Scandinavian art and is beautifully displayed– but if you’re short on time there is no shame in asking for directions to the Scream and taking a quick look. Unlike the Mona Lisa at the tourist-mobbed Louvre, we found the Scream to be refreshingly crowd-free. We hung out here for a good fifteen minutes and only encountered a few other visitors. My travel mate Linda even managed to get in a few scream selfies next to the original. The National Gallery Museum gift shop had some gorgeous coffee table books on Scandinavian art– definitely worth a browse. 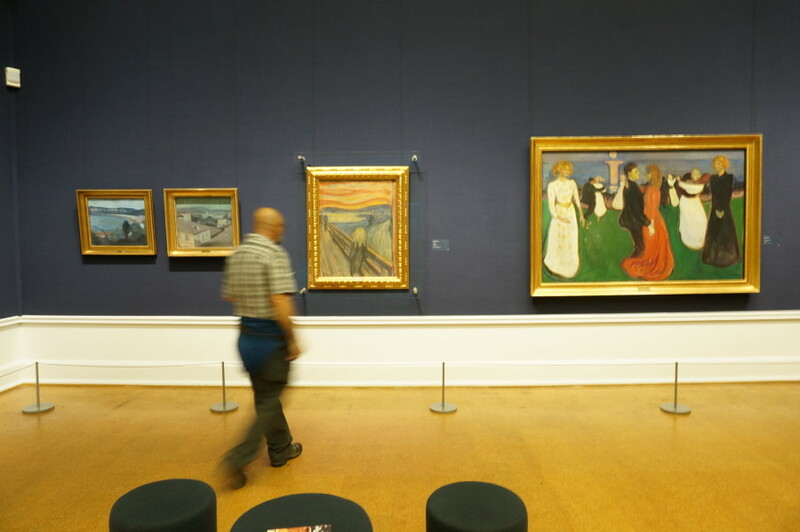 (National Gallery, Oslo). 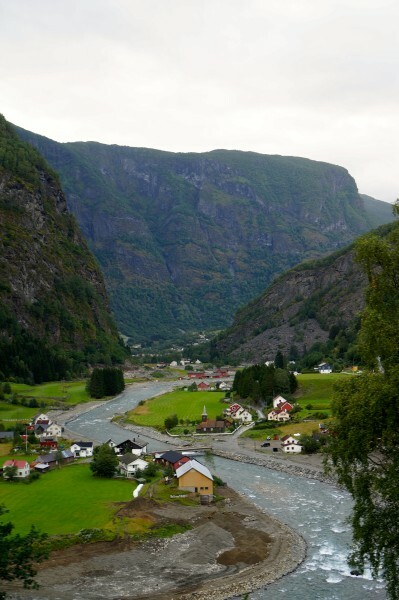 The ride on the Flam railway is only an hour long, but is considered one of the most gorgeous train rides in the world. 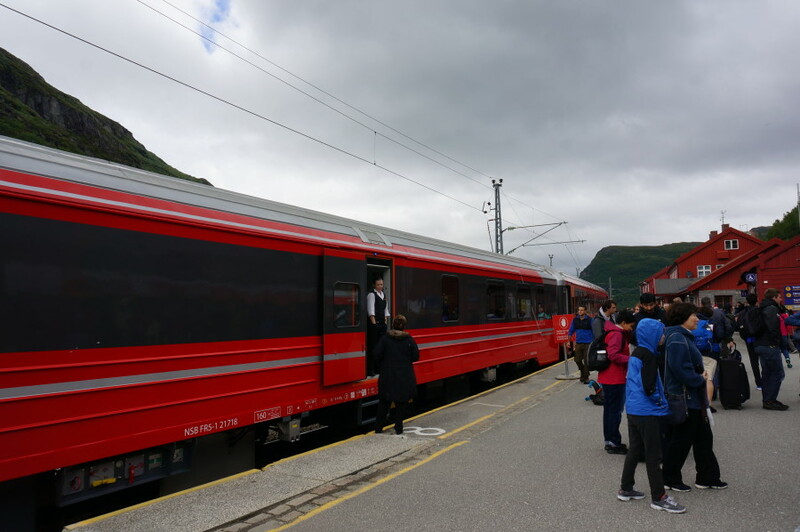 I loved everything about the experience– the bright red train with its vintage interior, the ride through the peaks and valleys of the fjords, and especially the bright wooden homes dotting the countryside. As you hop off the Flam railway in most seasons, you are reminded that Norway usually has a chill in the air. 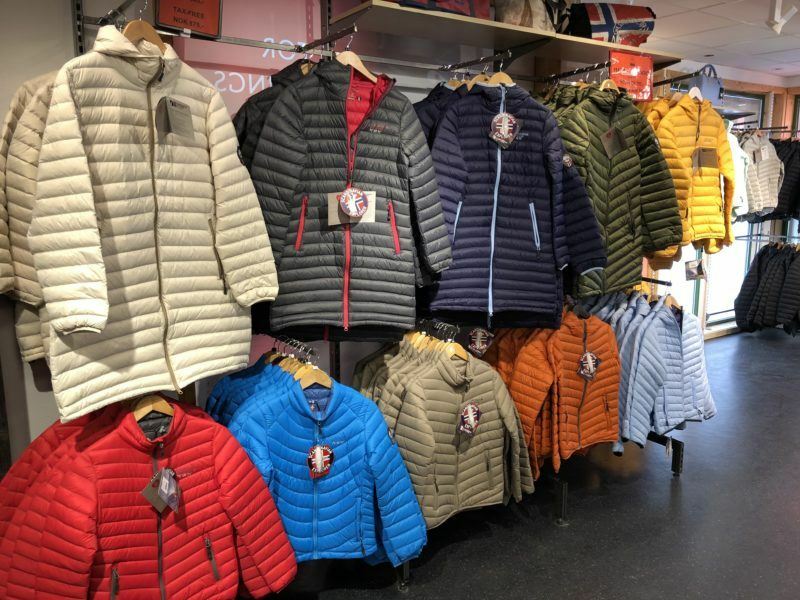 Fortunately, at the last stop in Flam, there is a fantastic gift shop, the Mall of Norway, that will keep you toasty in colorful Norwegian branded down jackets. A gift shop with a spectacular view. 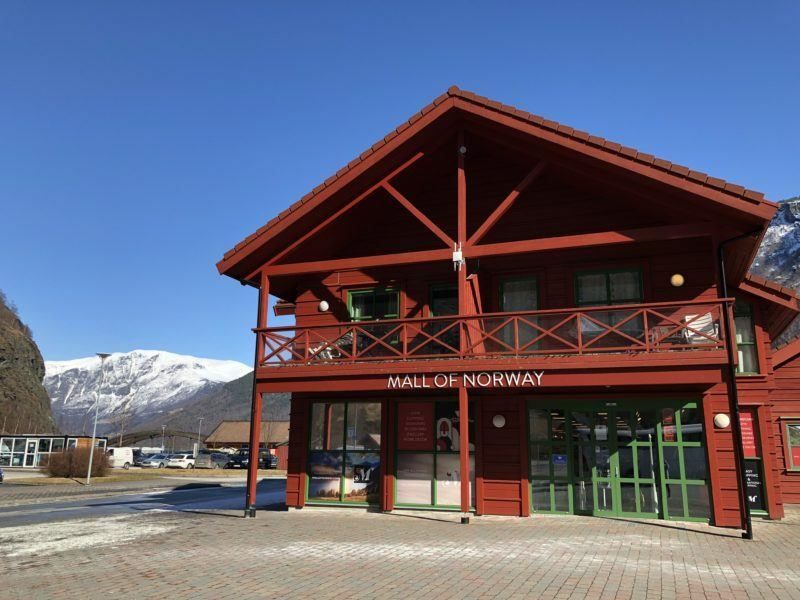 Don’t miss Mall of Norway, one of Norway´s largest and best gift shops. I adore my pink down vest from Mall of Norway. It’s from a local company, Scandinavian explorer and comes with its own pouch for easy packing. My lightweight baby blue down coat from Mall of Norway is perfect to keep the chill away back home in New York. I love the subtle insignia patch from the brand Scandinavian Explorer on the sleeve. 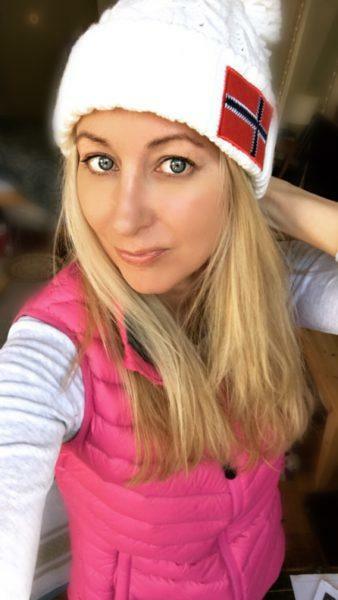 Mall of Norway has so many Norwegian souvenirs to choose from– this adorable hat with the Norwegian flag is a bargain at about $12 US. Warm but featherweight down jackets from a Norwegian brand are among the best sellers at Mall of Norway. Shockingly, even in expensive Norway, prices for the jackets were about half of what I would pay for a comparable brand in the US. Mall of Norway is the largest gift shop along the Flam, and by far the best. 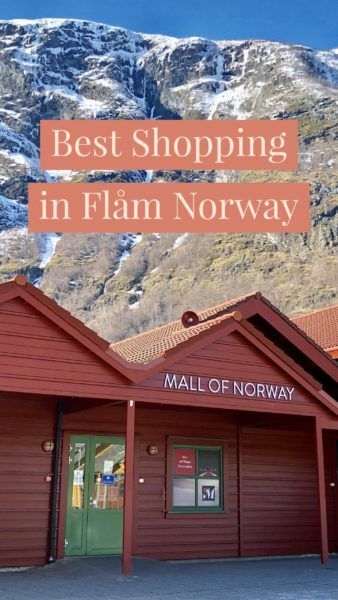 What I loved about this shop was both the huge variety of souvenir items and the dedication to high quality Norwegian brands– it truly is one stop shopping. 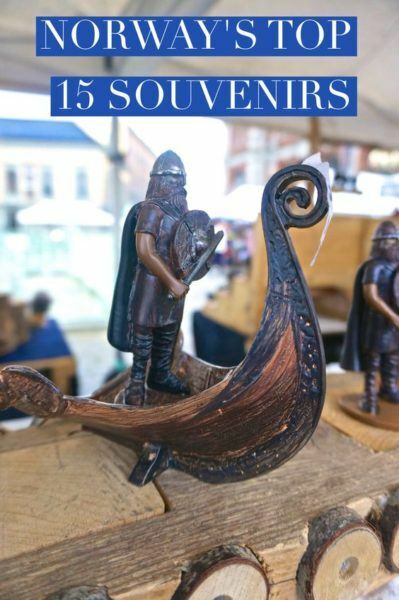 While you’ll find some of the same types of items you’ll see in other gift shops (trolls, magnets, moose and viking items, etc), the selection here is so much larger that there is no need to shop around to find just the right souvenir. But my favorite thing about Mall of Norway are all the Norwegian brands and specialty items not typically carried by other gift shops. 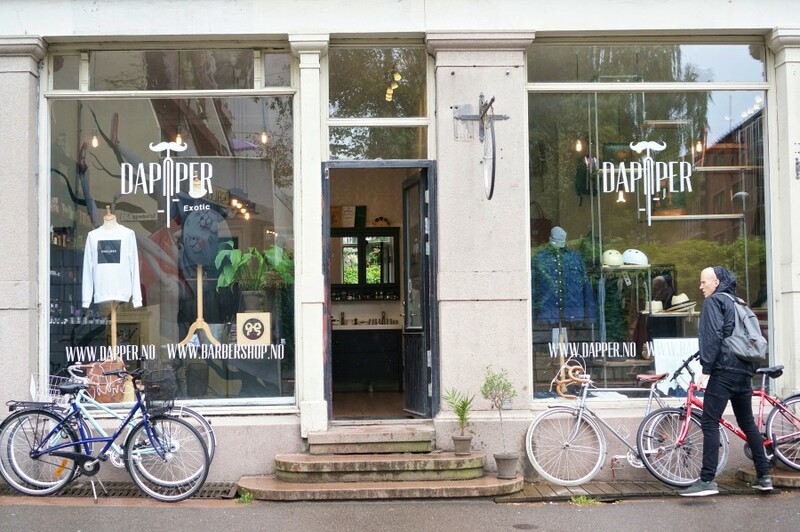 Here you’ll find locally handmade scarves, trendy Fjallraven backpacks, cute Norwegian hiking shoes, and statement jewelry pieces from Norwegian designers. 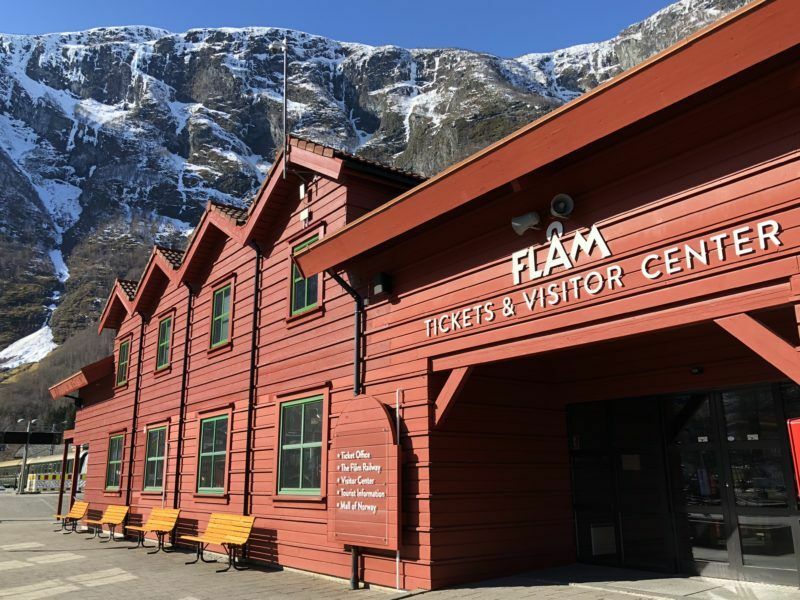 The Mall of Norway is in the heart of Flam– you’ll see the shop sign right as you get off the railway, next door to the visitor’s center. Perhaps it is because the Mall of Norway is so busy with visitors that they excel at customer service. Shopping here is a friendly experience, the staff can answer any questions about Norwegian goods and even offer tips for where to get a snack after shopping (they recommend nearby Toget cafe for quick delicious pizza, or for a proper meal, try Ægir Brew Pub, the best place in town–with fantastic decor in Norse viking style). 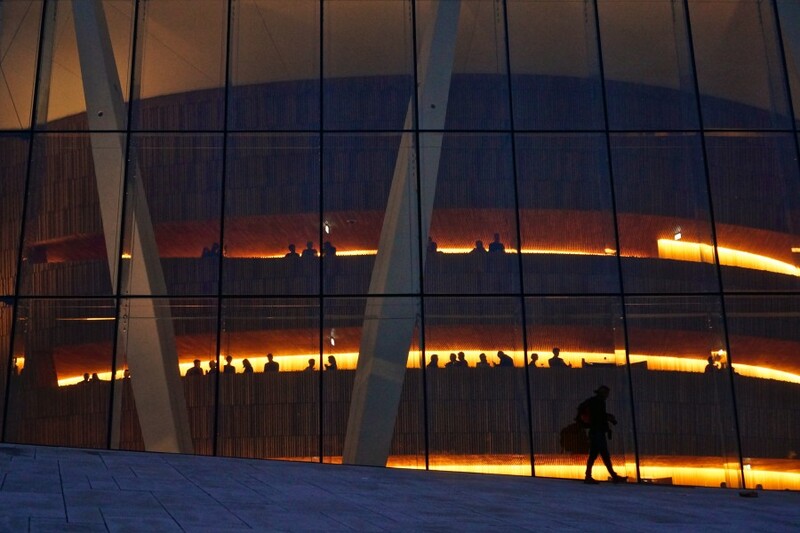 With its sharp angles and a sloped rooftop that you can walk right up, Oslo’s opera house is famous for its unique architecture. I really wanted to see that angular design so I planned to visit during the light of day. But it wasn’t meant to be. On my tight schedule, I didn’t make it to the Opera house until sunset. Not only that, it was late sunset, with the sun fading quickly, nearly overtaken by the darkness shrouding the sky. Those sharp angles were now just hazy blurs, barely visible in the dusky sky. But being the industrious blogger that I am, I swapped in my low light camera lens, hoping to capture something worth sharing. As I made my way up the concrete ramp, frustrated I wasn’t able to frame the architecture, I started to notice something else– deep shades of red and oranges reflecting in the windows of the Opera house. I was confused and started wondering if it was that even real. After darkness landed, I put my camera away and walked up to the top of the Opera house. 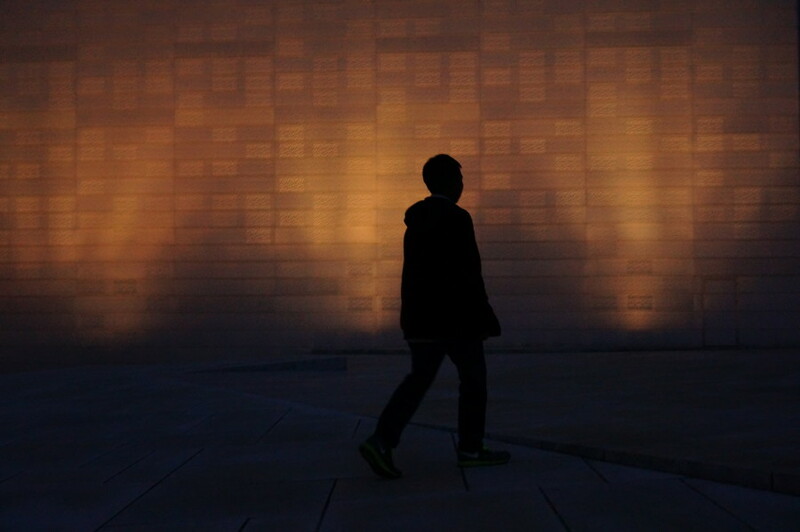 While I couldn’t really see the design of the opera house in the dark, I could feel it. Since walking the the opera house at sunset is such a sensory experience, a souvenir that awakens the senses is a perfect fit. I can’t think of anything better than visiting the Opera house’s gift shop and picking up a CD of opera music from the latest performerance. I am a little obsessed with Vikings (I might be currently binge watching the Vikings History channel series). Mind you, it’s not the pillaging and human sacrifice part that enthralls me, but the idea of Vikings as fearless explorers in a new world. To me, Vikings represent bravery in the face of the unknown, with a bit of resourcefulness, resilience and bravado thrown in. What would it have felt like to be a Viking, an explorer that navigated these fjords to distant lands still unknown? 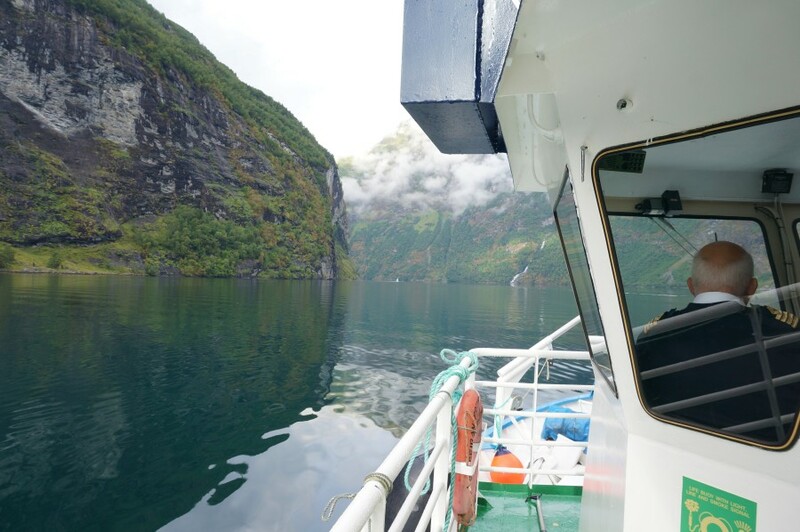 To me, that feeling of exploration and discovery, where you’re not sure what lies in wait around the next bend, can’t be matched by anything other than a boat ride through the fjords. While I would have loved to have taken a Viking ship (like the ones on display in Oslo’s excellent Viking museum) I had to instead make do with a ferry boat. 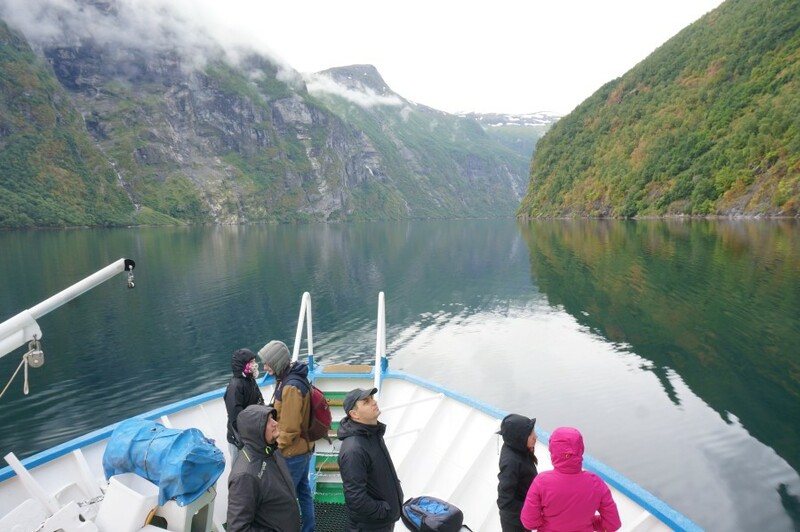 But once you’re out on the water, it make no difference if you’re in a wooden boat or on a large ship, if you’re alone or sharing the space with other tourists– the experience of being dwarfed by these massive fjords, with waterfalls etched into their walls, just can’t be described. With the whipping wind and rain only adding to the moody atmosphere, it was impossible not to feel alive. Finding a unique Viking souvenir to remember this experience by was a little tricky. Sadly, in souvenir shops there is a proliferation of serious Viking tat (including helmets with horns, which are so historically wrong). For more unique Viking souvenirs, I found the local vintage and antiques shops to be a great resource. 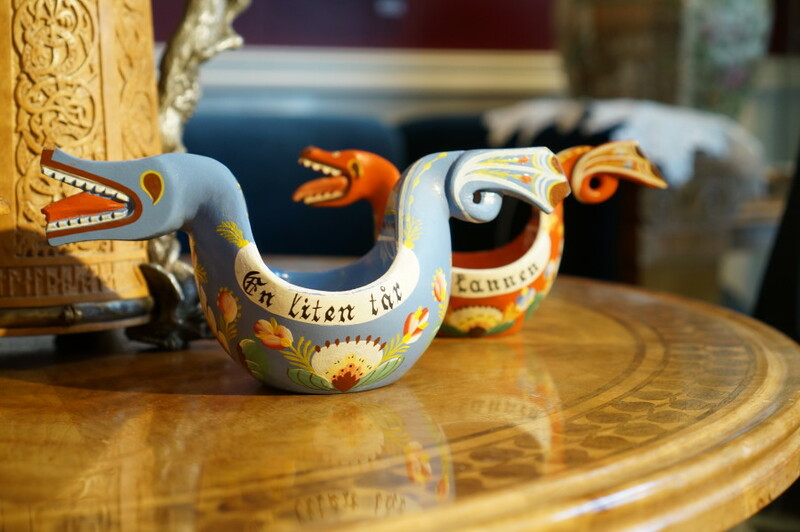 While you can buy a reproduction of a Viking drinking bowl at any souvenir shop, if you’re willing to spend a little more, you can bring home a genuine work of art. Antique Viking drinking vessels. From Galleri Artifex in Alesund. When I researched Norwegian cuisine, it seems like there is an overemphasis on the more extreme stuff– lutefisk, whale and other delicacies that didn’t really appeal to me. I was interested in finding tasty, but not necessarily unusual options, something locals might cook at home. I found two dishes that were standouts for me in this genre– Norwegian meatballs (served with mushy peas) and fish soup. 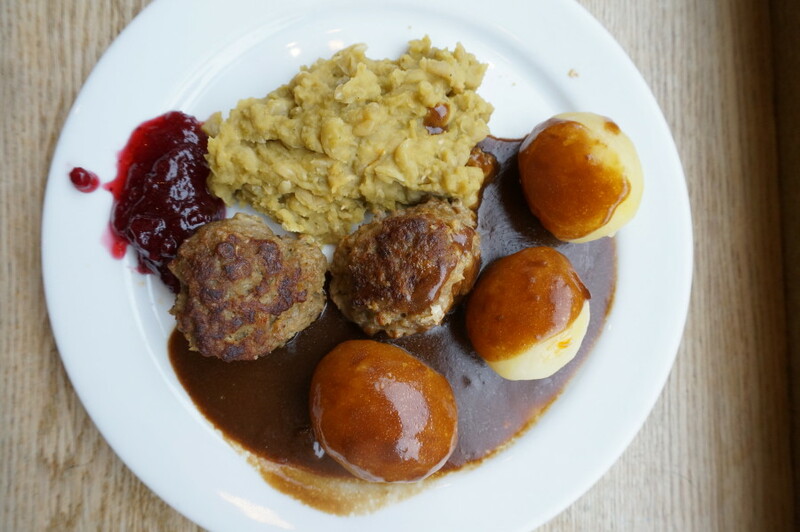 Norwegian meatballs have a meatloaf-like texture and are less dense than Swedish meatballs. 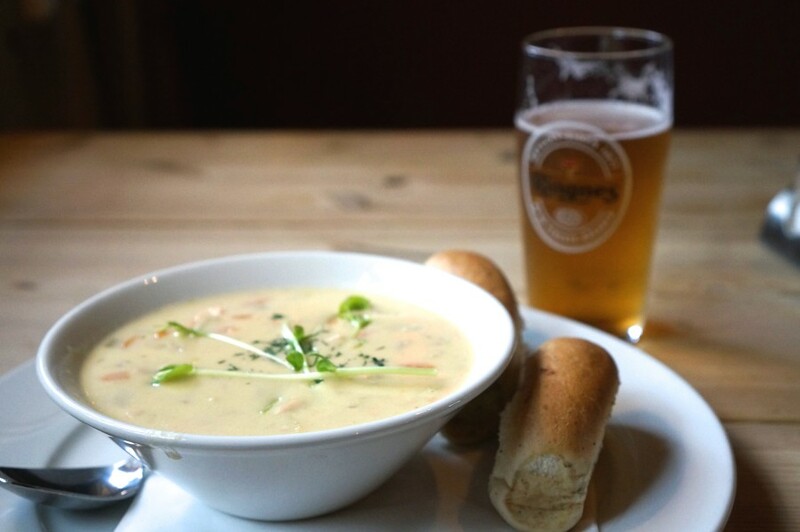 I could eat this fish soup every day. I hope to recreate these delicious Norwegian meatballs at home in a future post. Send me your recipes! Alesund was one of my favorite stops on this trip. While it once also was a town filled with traditional colorful wooden homes, a great fire and a new plan to rebuild more strategically sets this town apart from others. Young architects at the time of the reconstruction were embracing the Art Nouveau movement, so this design element can be seen across the town in the buildings (inside and out). The town naturally attracts an artsy population, so it’s a great place to shop for original designs. There are plenty of examples of art nouveau antiques in the vintage and antique shops in town. Enamel is a classic art nouveau design element. From Galleri Artifex in Alesund. 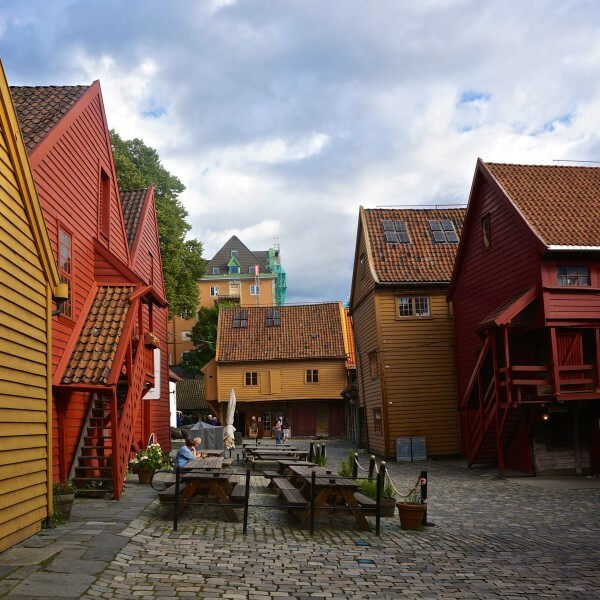 At first glance, Bergen’s Bryggen are the colorful wooden shop fronts lining the waterfront. But wandering through the crooked, narrow alleyways separating the shop fronts is where these wooden structures reveal themselves. I loved exploring all their nooks and crannies, both by day and night (it’s the perfect romantic walk in the evening). 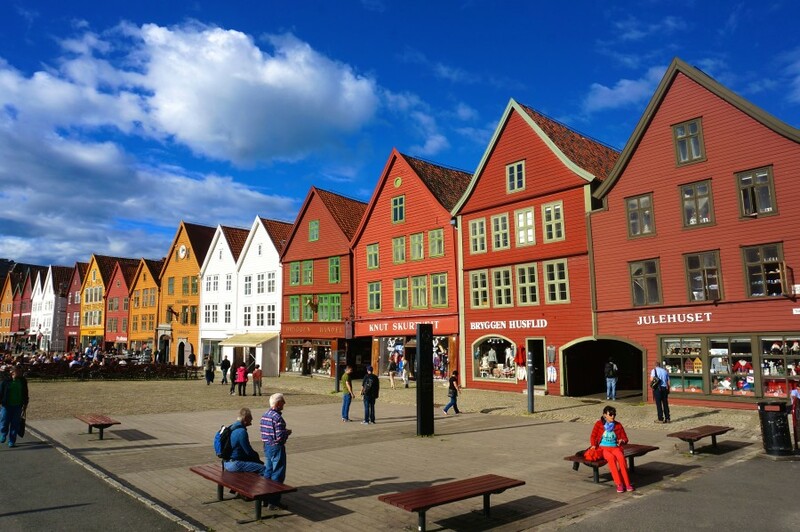 For hundreds of years, the Bryggen has maintained its original identity as a commercial shopping district. While there are lots of souvenir shops selling the same old plastic figurines, take some time to discover the many unique shops hidden away in its alleys (or read my full post where I show take you inside the best shops here). There is lots of original art to find here. A classic fishing shop fits the area. If you’re a regular reader of this website, you know that foreign supermarkets are my personal obsession. I love the opportunity to walk among the locals and see what kind of different and wonderful things they are putting in their grocery carts. 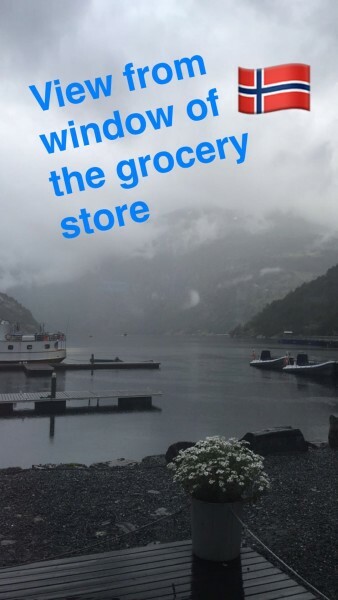 While you can visit a supermarket anywhere in Norway, if you’re in Geiranger, don’t miss this little grocery store backing up to the fjords– take a peek out the back window for the view. Can you believe I took this photo from the back window of the supermarket? As I’ve said before, some of the best and most economical souvenirs can be bought from the local supermarket. 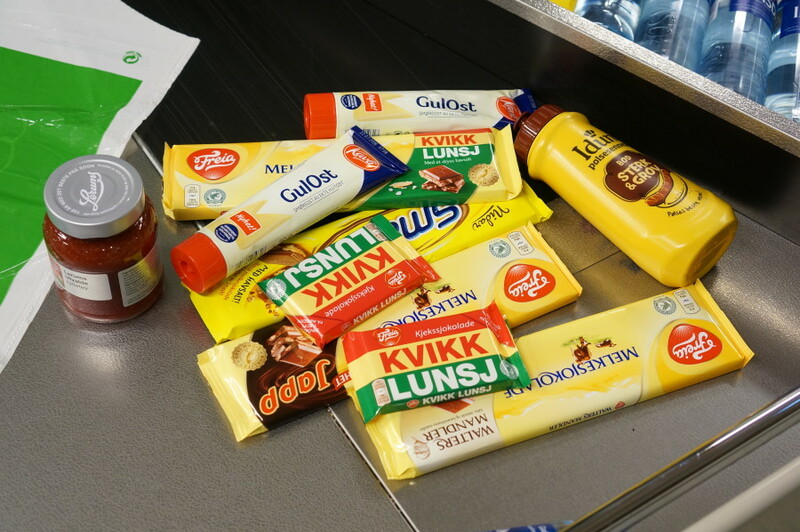 Here’s my supermarket haul– some strawberry jam, yellow hot dog mustard, and lots of chocolate. See my full post here. To order Norwegian snacks check this selection out. I suggest you buy more chocolate than you think you’ll need– I meant to give out most of these as gifts but ended up keeping much of it for myself because it was so delicious. 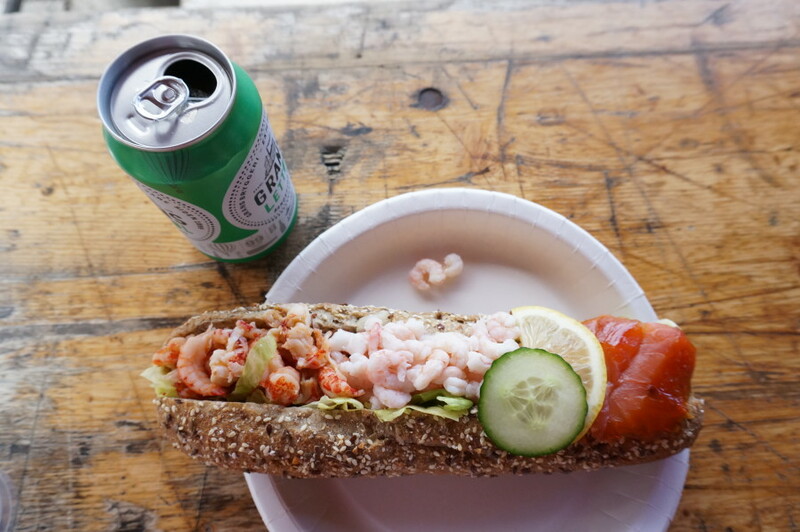 I love fresh seafood, especially shellfish, so I was in heaven at Bergen’s famous fish market. The market vendors here are friendly and generous with samples– and refreshingly, no one is chasing you down trying to get you to buy anything or eat at their booth. It seems wrong to pick the very first booth to eat at, but I had a good vibe from the vendor there. My intuition was spot on– my sandwich was delicious, enjoyed at a wooden picnic table overlooking the wharf. 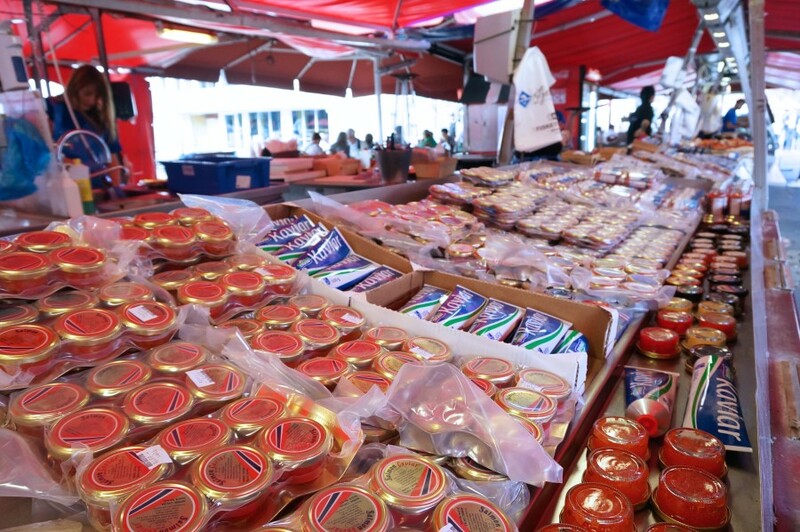 Bergen’s fish market is an excellent and reasonably priced place for souvenirs– I wrote about it in more in detail in this post, but my top pick would be the tins of salmon caviar. They had several different kinds of varieties and vendors are happy to let you sample them all. But even with these tremendous top experiences, what really made me fall in love with Norway was the warmth of the locals. Everyone we met was so friendly and kind– from the train conductor who personally hoisted our suitcases on board after seeing us run to catch the train, to the baker who generously doled out giant samples of local specialties to the ship captain at the pub who regaled us with tales of battling the Norwegian seas– and most of all to our guide Bente in Alesund who showed us every hidden corner of her beloved village and made us love it too. I don’t have a souvenir for this last experience, but it would be hard to forget the friends we made and memories we shared. I can’t wait to return and explore more of Norway and most of all, meet more locals who know how special their homeland is and don’t mind sharing it with us. 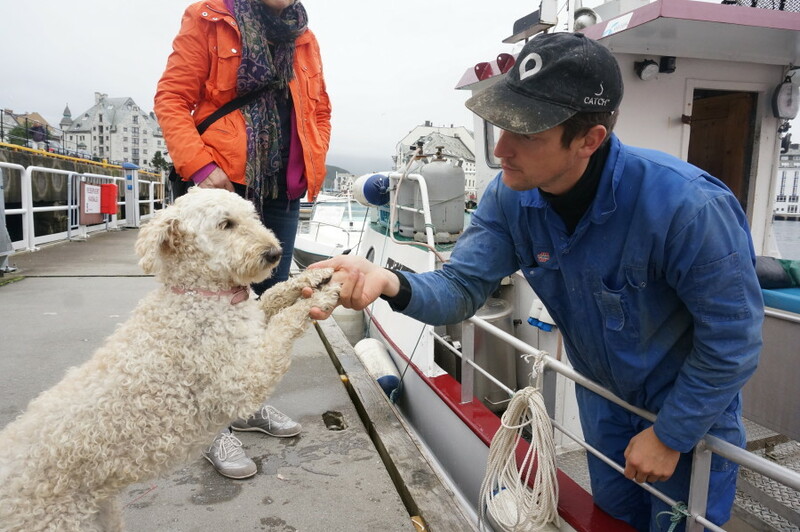 The love this Alesund fisherman had for his dog was pretty endearing. The daughter of the oldest baker in Alesund shows us the original recipe book. This chocolate shop attendant let me sample every flavor. We enjoyed all these experiences and more in just a one week itinerary. Want to follow our exact route yourself? My cohort Linda of Tripping Blonde has laid out the details on how to go about it– check out her post here! Disclaimer: My visit was hosted by Innovation Norway and their partners, but all opinions (and shopping picks!) are my own. 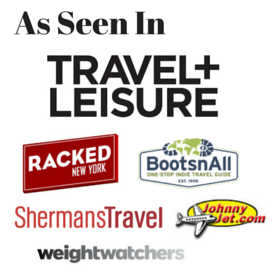 Souvenir Finder is a participant in the Amazon Services LLC Associates Program, an affiliate advertising program designed to provide a means for sites to earn advertising fees by advertising and linking to Souvenir Finder. Have you been to Norway? Share your favorite experiences in the comments! I was waiting for this Norway post (and admittedly of seeing the troll). It looks like Norway was a lot of fun, even if you caught the opera house at the wrong time of day (I do like the silhouette of the boy however). I have not been to Norway yet, but it is high up on my list! Lol the full troll post will be coming soon! It’s so easy to hop a flight from nyc (they have sales all the time) you should definitely get there! Norway has long been on my list of travel destinations. So beautiful and I want to get in one of those kayaks immediately and explore! My wanderlust meter went on overdrive and definitely pointing toward Norway as I type. Sue there is so much adventure here to keep you busy, you would love it! What a fun tour, I enjoyed seeing all the amazing landscape, food and urban life….the souvenirs were pretty cool too! Spent 10 days in Norway in mid-June. It was beyond fabulous. The midnight sun was amazing. One has to be careful regarding the typical souvenirs. Even though they look original and hand-made, many of the woolen garments are made in Asia. Therefore, be sure to look for a tag that says “Made in Norway.” The price should give you a clue if it’s truly Norwegian made. We were disappointed with the Bergen Fish Market. The restaurant we chose (ok, our fault) was boring at best. Food was bleh. Probably better to get something to go instead. 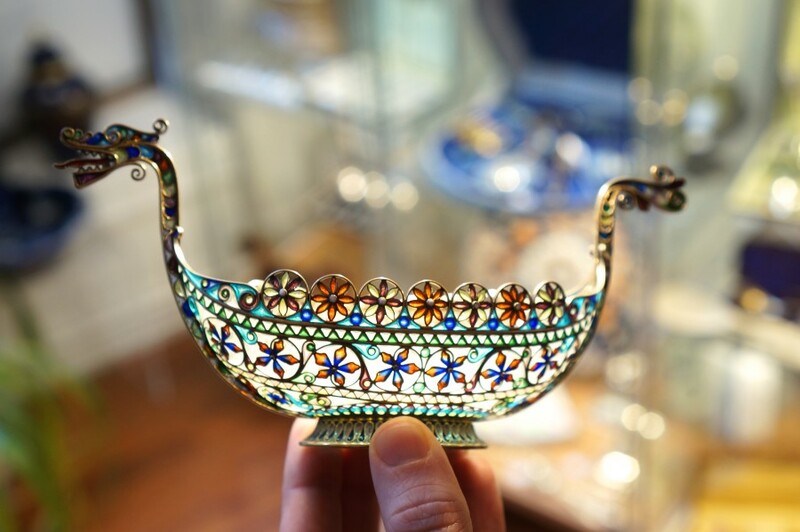 Our top souvenir finds were two small pieces of glass work made in Lillehammer. Priceless! Highlight was spending 4 days in Tromsø above the Arctic Circle. We did the Flam railway from Oslo to Flam, which was longer than 1 hour….more like 3. 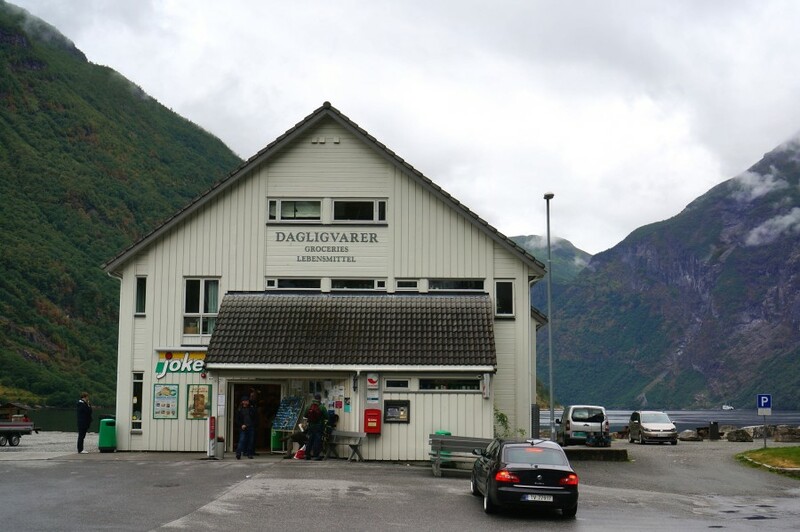 Then we got on a ferry and cruised the Songafjord to Balestrand and spent the night. Truly magic. Next day boarded another ferry and ended up in Bergen. We loved the Viking Museum in Oslo. Took a local bus there…very easy. Super fun and their gift shop was nice. Also got a stone viking ship I’ll use as a Christmas tree ornament. We are looking forward to going back one day to see the Northern Lights. Thanks so much for sharing! I would love to go in the height of summer and experience the midnight sun! I agree about the woolens– I only recommended those at the rail station because it was so bitterly cold and they were convenient– more of a fun novelty. For real locally made woolens you can’t beat Dale of Norway and other local companies. That’s too bad about the fish market– we didn’t eat at a real restaurant– it was a stall where they cooked right in front of you. We also ordered simple fresh seafood so there wasn’t much to mess up. The vendor was hilarious too, we really enjoyed the experience. We did Norway in a Nutshell out of Oslo too– but it was a regular train most of the way. The scenic train was only about an hour or so. My friend Linda runs through our entire itinerary–link at the bottom of my post. We only had a week so were trying to be as efficient as possible. So envious of your Tromso visit! It was impossible to do it all on this trip, so on the next visit! loved reading this. We are going in June and can’t wait. Thanks so much! 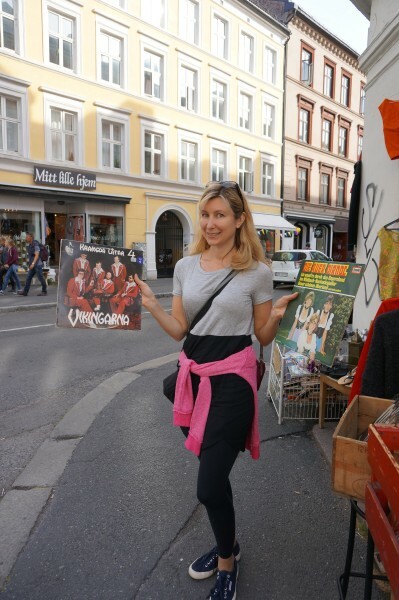 I’ll be posting many more Norway posts before that so check back (Tripping Blonde, my cohort will have a lot of practical tips on her site too). 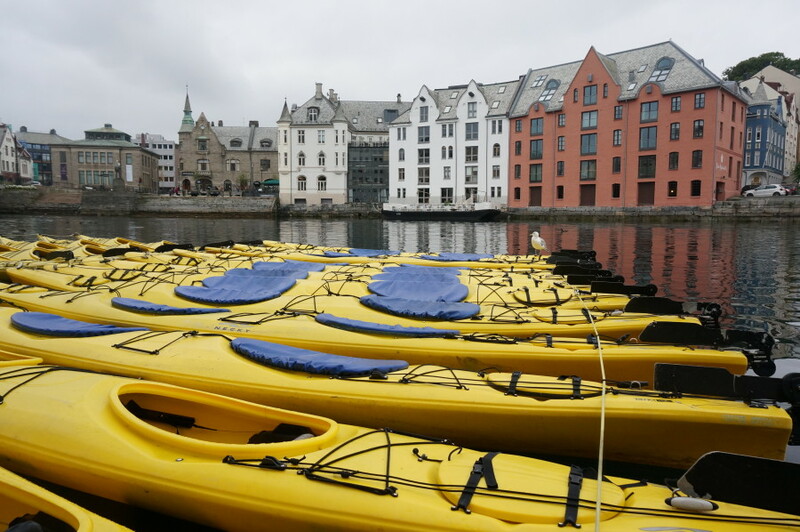 Just visited during the last week of August and while you fell in love with Alesund I fell in love with Bergen….so glad you enjoyed the skillingbolle as much as we did. Felt very at home in Bergen and had no issue navigating its neighbourhoods without losing our bearings. Even the 7-11 and McDonald’s are in lovely historical buildings so they aren’t obtrusive. I could live there happily. Selfies with The Scream??? Who distracted the security nazis? Only room in the whole museum where photography is not allowed. Nice to see someone who enjoys grocery shopping while touring as much as I do – those chocolates look familiar! Oh yes I adored Bergen too– we only had a half an afternoon there sadly but I want to go back and spend more time– I loved all the cute homes winding up the hillside. I never take photos if signs are posted not to so I’m surprised to hear that? Maybe the rule has changed? Everyone took photos of the Scream, well out in the open. No flash, but I never use flash anyway. Grocery shopping is my obsession!!! Still eating the chocolates! Seriously could not give them away. We were in Norway twice. The cruise thru the fjords was awesome!! I wish I could remember which one. It was part of the train, fjord and bus from Oslo to Bergen. On our second trip we were fortunate to go to the farm where my husband’s great grandfather lived. He walked up into the rocky pasture with the cows. He got to visit with a distant cousin. They shared ancestor info. We also walked thru the cemetery at the church where his great grandmother attended. She emigrated to America. We rented a car and we took a couple with us to that church. Helen– thanks so much for sharing your story! How lovely to see where your husband’s ancestors lived, that must have been an amazing experience! Love, love your very informative writing!! I always wondered where the Dale factory is, thanks! My dad came from Vinstra, Norway and I’ve been there 4 times to visit relatives. I have cookbooks in Norsk and English from my cousins. Flotevaffler (cream waffles) 1.5 liter sur flote, 1.25 liter sur melk, .25 liter vann, 400 gram hvetemel, 1 teskje salt, 35 grams sukker. I can’t really translate liter to cups accurately but it is basically sour cream, white flour, salt and sugar. They are delicious with lingonberries or cloudberries. Scandinavian stores and online stores sell these for a hefty price. I love bringebaer saft (raspberry soft drink) and krumkakes. Basically anything sweet! My aunts said a good Norwegian housewife would always have 7 kinds of baking on hand to give guests and they really outdid themselves when I visited with them. Norway is a nice country and my Norway experience was amazing. I completely enjoy there, because of the atmosphere of this country, best places, great moments are heppend there with me. I love this country very much, only for there best foods and fish soup is my favorite ! Thanks for sharing these great moments ! haha never thought about making a meal from free fish samples (though we often enjoyed “dessert” in Japan the same way– by taste testing different cakes in the department stores). Yes hope to head to the Lofoten Islands next year to see the Northern lights! Good to know you all enjoy our country. I have a wall on pinteterest named Norway. ???? Thanks for sharing this amazing post.nice imazes. those articles are helpful for us. Going to Norway in a few days – so thank you! I am also a grocery store junkie and my tip to you is that pharmacies also tell you a lot about a place; I try to see both. Wonderful post. 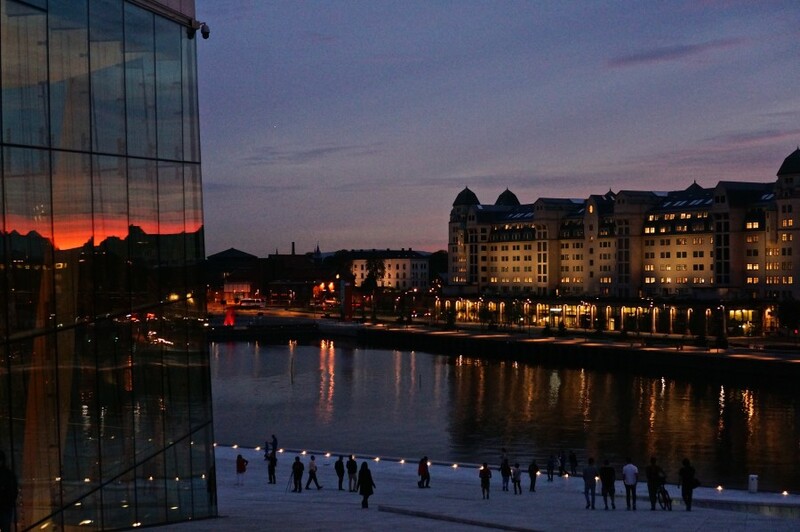 We traveled to Oslo a few years ago and we absolutely loved the city. Norway is such a beautiful country. We plan on visiting it as often as we can. Bergen is on top of our list. It seems we missed Grünerløkka. We were close though as Mathallen was on the list. yes Bergen is incredible too! I have a recipe for you for the rømmevaffel, rømme means sour cream and that´s what makes the vaffle crispy. I am currently planning a trip to Norway next year, but with all the research I’m doing for flight, where to stay and things to do I’m feeling a bit overwhelmed. How did you go about organizing your trip? Any advice would be helpful. Thank you so much for all of the great suggestions! My husband and I are heading to Scandinavia in July and I can’t wait to get my troll and start taking some pictures! Hi Michelle! Yay! Would love to see a photo of your troll in Norway! Just found your blog! I was curious about Norway but now you got me hooked! Looks lovely indeed! Evelyn, Norway is a magical place, so unlike anywhere else I’ve ever been, definitely go! 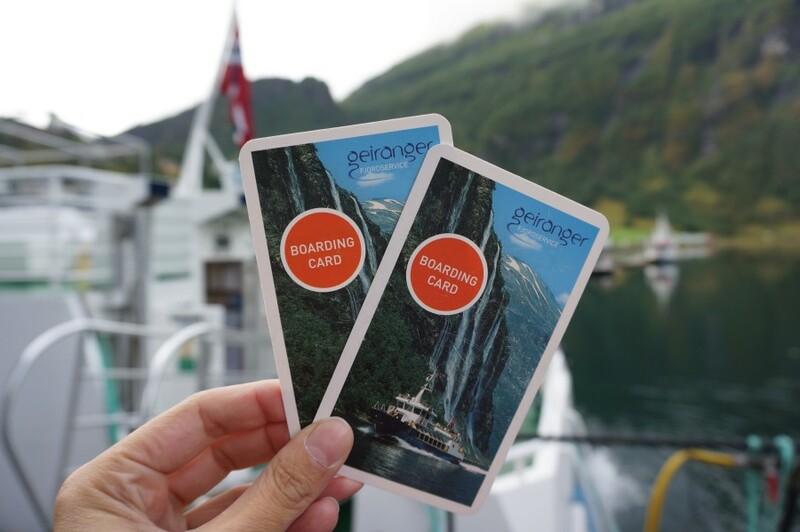 As a Norwegian from the fjords near by Ålesund and Geiranger I am very happy to read that you enjoyed your trip! Here are some recipes of «kjøttkaker», some oldfashioned and some modern. Just returned from western Norway. 1week driving and 1week on a cruise ship. The driving week was so much prettier. Your blog so closely matched our experiences and beauty. Would love to have that Norwegian waffle recipe if you ever got one. Thanks! Debbie I’m so happy to hear this, thanks for sharing! I have the waffle iron but my first attempt was a fail, which reminds me I should pull it out and start doing more research!